In this modern technology world, with the dominance of smart phones, you might know about two main mobile operating systems (OS) Android and iOS. As you know, Android and iOS are two different mobile OS, which also require different IT knowledge to create a suitable mobile app. Some mobile app founders have to create different developer team to support each system, while others choose the solution of using the same platform for both big mobile OS. Flutter of Google is one of these examples. 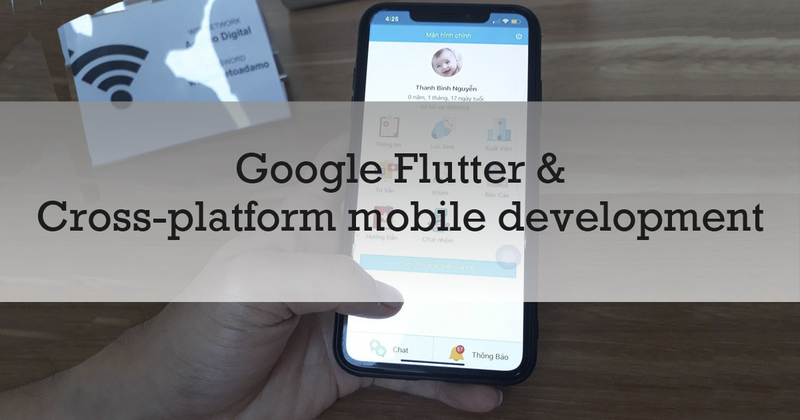 In this blog, let’s find out what is Flutter and should we use Google Flutter on mobile application development or not. Google Flutter, what is it? 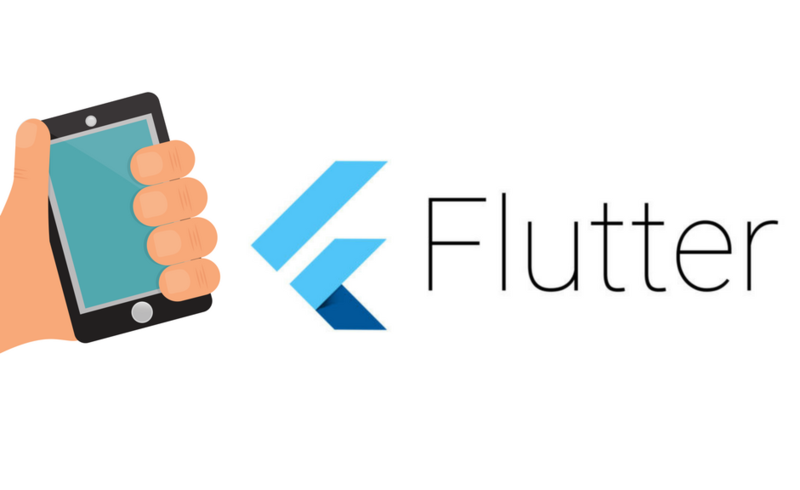 Flutter is not only an open-source platform but also a cross-platform mobile development framework from Google. The speciality of this platform is its high-performance application built for both iOS and Android using a single code base. Furthermore, it is designed to be brought to other platform through custom Flutter engine embedders. Basing on Dart programming language, it has a rendering engine based on the Skia Graphics Library. Because Google also using Flutter in its Fuchsia OS, the whole structure is in the mix, Flutter can draw every detailed single pixel to the screen, then the developer can build familiar experiences out of the box. Building the framework upon the Skia graphic library, Google Flutter provides widgets that are actually rendered, not only being wrappers on native controls as other approaches of Cross-platform toolkits. The approach allows to freely build a cross-platform application while keeping the smooth performance. It means that with the wealth open-source widgets and rich widget library, Flutter is the one that every mobile developer has had for cross-platform development with no to compromise. Cons – Expensive cost- Take more time- Require high-skilled developers in each platform If the app requires complex customization, it will take time, money and human resource than using native app When app requires complex customization, it costs more than native app. Since the first announcement in March 2017, Google Flutter are widely used by developer communities. Additionally, the large number of developers considered Flutter as their ideal cross-platform mobile application development tool is something which the whole industry never experienced before. Congratulation! Nowadays, Flare is integrated into Flutter. Developers today can easy export and make 2D vector design and animation using Flare in Flutter. Finally, both developers and designers can work on the same platform and quickly update the changing in design together. Yeah, Dart 2.1 was released! With this version, Dart is promised to be better than the previous one with compile – time check and ability to work with high-performance and low code size. Android Material Design and Apple’s Cupertino can be found in the reusable widget design after the Flutter and Material Design team at Google become the unique team, therefore, developers can save more time while code both Android and Apple mobile application. The biggest US payment method – Square now is integrated into Flutter under two plugins- In-app purchase SDK and Reader SDK. Developers can add payment features inside their mobile app to elevate end-users’ payment centric offerings. With the partnership with CodeMagic, developers can develop, create its build, and launch a mobile application on the App Stores right from Flutter’s build system. As the announcement of Google, Flutter will quickly move from Mobile to Web and other Wearables using Hummingbird. Besides, other platforms are paid attention as MacOS, Chromebook, and Windows. With these above features and benefits which Flutter can bring to developers, it promises the new development of Flutter in the near future. Let keep an eye on the development process of Flutter, and hope to see the differences and enhances in the next few years.